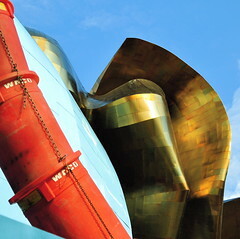 I've been enjoying the Flickr collection of photographs of Frank Gehry's architecture. The photos almost look like paintings. Or like the like these massive buildings are about to start dancing.